Big display at a crisp 1080 resolution, large battery, huge ram, and brilliant camera. The Huawei Honor 7X has it all! The Honor 7X is the first mid-range device to bring an 18:9 ratio display to the market, and that’s impressive considering the price point. 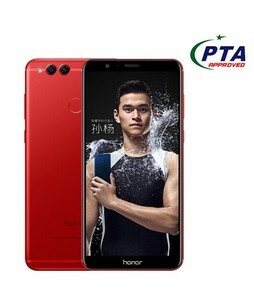 The Lowest price of Huawei Honor 7X in Pakistan is Rs. 24,999, and estimated average price is Rs. 29,482. The prices are collected from the best online stores in Pakistan like Mega.pk, Symbios, iShopping.pk, Qmart.pk - updated Apr 2019. 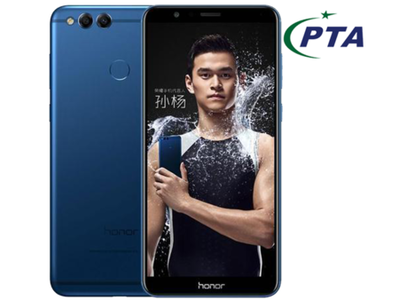 Huawei’s Honor sub-brand has had a pretty strong year, with the flagship Honor 9 winning praise for its attractive design and strong performance at a very reasonable price. Huawei has been under the pump in the past over security concerns, particularly after lawmakers in the USA hinted at Huawei breaching the data of US citizens, but Huawei hasn't let these rumors get it down. 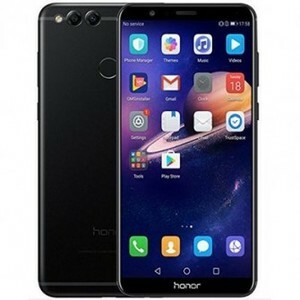 They have churned out brilliant smartphones, one after the other and the Huawei Honor 7X is a testament to this fact. If we decided to put it in a nutshell, the Huawei Honor 7X is a lot of phone for a very little price. Huawei's Honor 7X packs a 5.9" IPS LCD with an 18:9 aspect ratio, quite similar to the one on the Mate 10 Lite. It is a very decent panel with no compromise on quality as it boasts a resolution of 1080 x 2160 pixels. The vivid display has a pixel density of 407ppi. Design is one of the elements of smartphones that Huawei hasn't really excelled at, but they seem to be learning from their mistakes. 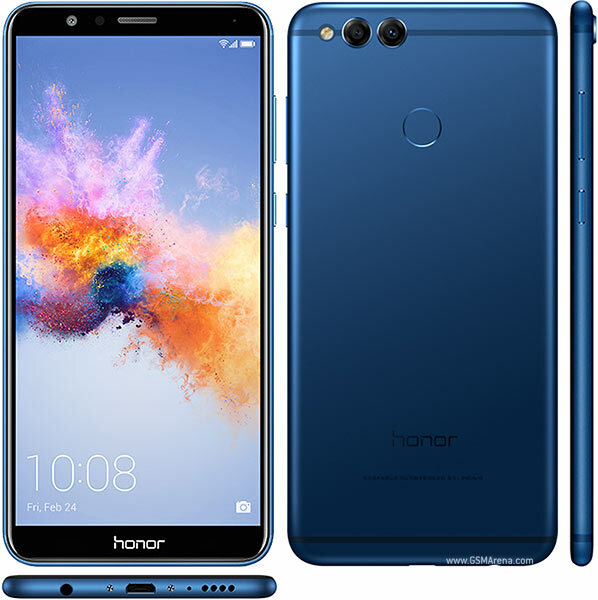 For the Huawei Honor 7X, they went back to the drawing board and decided on a complete metal body that's not only attractive, but also very durable. 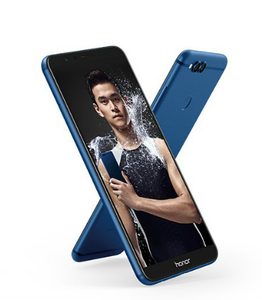 The Honor 7X does not have a curved back, so it is not as easy to grip or as comfortable to hold as its predecessor; the Honor 6X. With that being said, if you're a person who likes slim and sleek phones, then you're going to enjoy the Honor 7X. Measuring at just 4.6 mm, this phone is ultra thin! Despite the fully metal back, the Honor 7X doesn't feel like a truly high-end device and if you're a fan of the glass backs that Huawei has used on its phones in the past, then you will be reminiscing quite often. It's not that the phone feels cheap, it just doesn't feel like a premium phone, like a high-end flagship would. The fingerprint sensor is located on the rear or the handset in a very centrally accessible location. Performance usually is a deal breaker for a lot of customers, and thankfully the Huawei Honor 7X does not compromise on performance. This phone is a budget beast! The Huawei-produced Kirin 659 chip that powers the Honor 7X is tuned for efficiency rather than all-out power and when compared to similar chipsets like the Snapdragon 625, it performs significantly better. Equipped with 4GB of RAM. the Huawei Honor 7X delivers swift performance that should satisfy all but the most demanding of power users. Occasionally, when switching tasks and opening notifications, you'll run into lags that you wouldn't encounter on the Mate 10 Pro, but that's to be expected from a midrange phone. Android 7 Nougat with EMUI 5.1 is what the Huawei Honor 7X is boasting. I've never really been the biggest fan of Huawei's custom skin. But EMUI has really gotten its act together and the decrease in bloatware, as compared to previous versions, is quite dramatic, to say the least. In fact, Emotion UI is constantly getting better, with behind-the-scenes improvements, like better RAM management, improved miss-touch detection, and higher touch accuracy, to name a few. Obviously, you can't expect a performance like you'll get with stock android and one of the faster SnapDragon processors, but at this price point, Huawei does more than it is being asked and exceeds expectations yet again. It's 2018, so you know that 9/10 smartphones will be featuring a dual-lens setup. It has become more common over the past year to see dual-camera photography pop up in budget devices, but at such a meager price tag, the Honor 7X still manages to give the most value, by undercutting its peers. 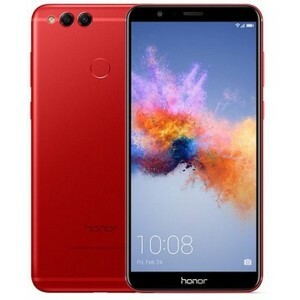 At this very modest price, the Huawei Honor 7X offers a 16-megapixel main shooter with a f/2.2 aperture, paired with a 2-megapixel secondary lens to aid in taking portraits. The shots we took with the Honor 7X in daylight are satisfactory, but not really spectacular. Let's not kid ourselves here, the Honor 7X is no Pixel 2, the photos will be noisy, unsaturated, undetailed and possibly blurry. But for the average smartphone user; they will be enough. Battery life is always a game changer when it comes to picking phones, and it quite often turns out to be a dealbreaker. 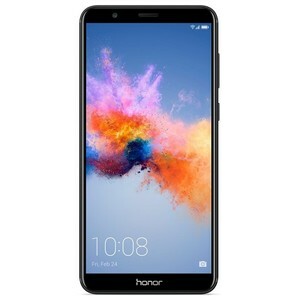 The battery on the Huawei Honor 7X is 3,340 mAh, which doesn’t sound like a huge number, but as we know, optimizations can make all the difference and this holds true in the case of the 7X as it lasts the whole day quite easily.